Raphael thrives on challenges such as raising awareness for important social and global issues and considers himself a budding humanitarian & an enthusiastic environmentalist. At just 13 years of age, Solli performed to an audience of over 5000 at the International Convention Centre Sydney as part of TEDxSydney 2018. He also performed at the 2018 Gold Coast Commonwealth Games to a live audience of 35,000. 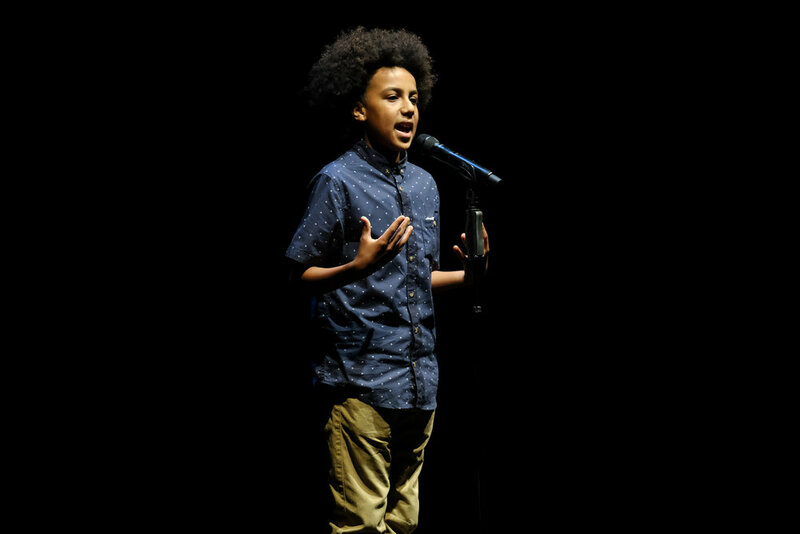 In 2017 Solli won the Australian Poetry Slam at the Sydney Opera House, holding the title for the youngest ever champion! A video of the winning performance went viral with 3.6 million views. Recently signed with Penguin Random House Australia, Solli’s debut book Limelight includes strategies on developing writing ideas, writing traditional and slam poetry along with techniques on how to perform on any stage. Limelight offers motivation, hope and inspiration to youth and people of all ages. See Solli’s encore performance at this years’ Australian Poetry Slam National Final event.